We can advise on how best to care for your tree or hedge, determining what type of pruning is necessary to maintain or improve their health, appearance and safety. 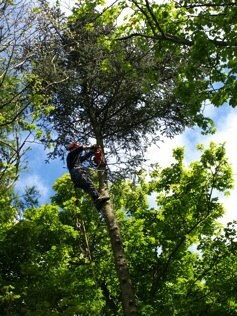 We are experts in all aspects of tree removal. We have over 20 years experience ranging from the smallest fruit tree to the largest 30 tonne Wellingtonia. 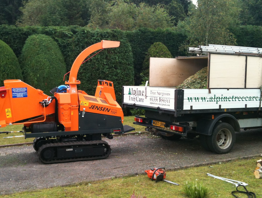 We specialise in difficult and technical felling operations and working in cramped and confined environments. Having close associations with the major Arboricultural Organisations means we are able to keep up to date with industry best practice and hence promote safer and more efficient tree removal systems. Our climbing arborists can work within a crown of a tree improving its structure and shape. Through selective pruning we can reduce the likelihood of storm damage whilst increasing light penetration. 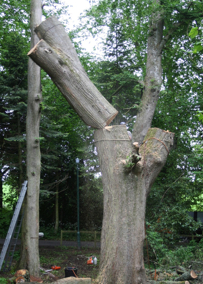 Our crown reduction methods can keep a tree to a certain size whilst still retaining natural form. We are able to selectively remove branches that are not required in order to enhance the aesthetic properties of a tree whilst still retaining its original shape. Correct pruning can markedly increase a trees life expectancy. We also offer pruning services for hedges, from the smallest box hedge to the longest cyprus to the most established beech. All suitably sized material can be processed on site with our range of wood chipping machines. Alpine Tree Care provides a tree report and inspection service to national standards (British Standard 3998 “2010 Tree-work Recommendations” and 5837, Trees in Relation to Construction) in order to meet all our clients’ tree management requirements. . We are able to provide tree inventories, tree works schedules, Health and Safety audits and information relating to property planning. Our expertise can allow trees to remain in state as opposed “quick fix” felling solutions. By utilising climbing inspections and the latest decay detection techniques we are able to significantly increase a trees longevity. Our network of qualified forest and woodland managers allows us to provide a comprehensive woodland management service from the largest Sitka plantation to the smallest isolated hardwood spinney. Whether you require management to include conservation, recreation, amenity or simply to improve your woodland resource we have the expertise to help. 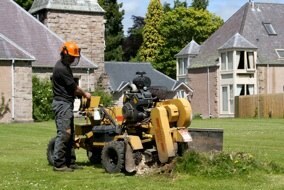 We are able to remove any stump to the desired depth, from the smallest cherry to the largest Wellingtonia. This exercise is usually carried out to aid future replanting, for aesthetic reasons or to reduce the risk of fungal infection and soil contamination. 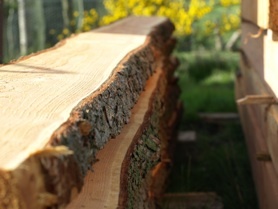 Hardwood or softwood to required length can be supplied in various load sizes. 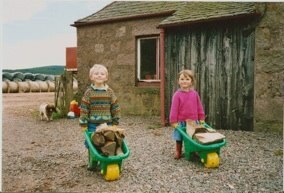 We are also able to convert your own wood on site. As well as firewood we also offer a milling service. If you have higher value timber on site we can convert this into boards using a portable mill.